Bonjour, Wet Basement. Meet The French Drain. Not all wet basement solutions are created equal. How do we know? Meet the StayDry French drain. It’s the one that gives other French drains a bad name. 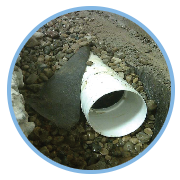 We have been keeping basements dry across Michigan using our proven French drain system for years. The Hydroflo French drain system—the only one we use at StayDry—is not the box system preferred by companies that cut corners. 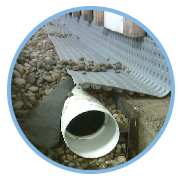 In short, our french drain system stands out from the rest. As with all of our services at StayDry, we never cut corners. This is why we utilize the Hydroflo: to keep you safe and your home protected from the damages water entry often presents. The french drain, in general, has been used for years—and we stand behind it! 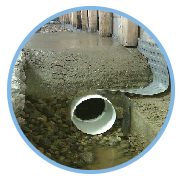 Want to know more about the French drain installation process, or the materials we use? Visit our resource page for an in-depth discussion. How Much Does a French Drain Installation Cost in Michigan? We understand that finances are a concern when it comes to waterproofing your home, which is why we put together this cost estimator page. And we’ll work with you to come up with a financing plan. Ready to meet the StayDry French drain? Let’s talk.